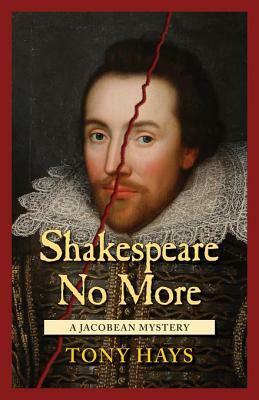 Shakespeare No More is great historical murder mystery by Tony Hays. In this novel, Simon Saddler, visits his estranged friend William Shakespeare only to be told that he believes he is dying from being poisoned. After Shakespeare dies, Saddler embarks on a quest through England to solve his murder. In this novel, Hayes references the not-so-popular conspiracy theory that William Shakespeare was murdered. Though the historical accuracy of this is very suspect, this particular novel was a delightful read. Shakespeare is depicted in a believable (probably accurate) way of being smug and philandering. His friend Saddler begrudgingly visits him and later tries to solve his murder. There are many imagined and historical figures in this novel, but everything seems very real. While I can’t say that I felt transported to 1600s England, I enjoyed this book nonetheless. I do prefer a bit more history in my historical mysteries, but this was a fun read with colorful, interesting characters. This would likely appeal to Shakespeare-lovers and historical mystery lovers who are okay with glossing over historical inaccuracies for the sake of enjoying the narrative. The characters really were great and the pacing was fast, so this might even appeal more to those who have more of an interest in historical settings than in history itself.